Wholesale inflation in primary articles eased to 0.1% from 1.73% in the previous month. Inflation in 'fuel & power' was at 17.73% in August. WPI inflation in primary articles eased to 0.1% from 1.73% in the previous month. 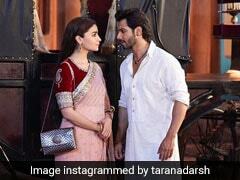 Wholesale inflation stood at 4.53 per cent in August, government data showed on Friday. That marked the lowest level of price increase rate recorded since April this year. 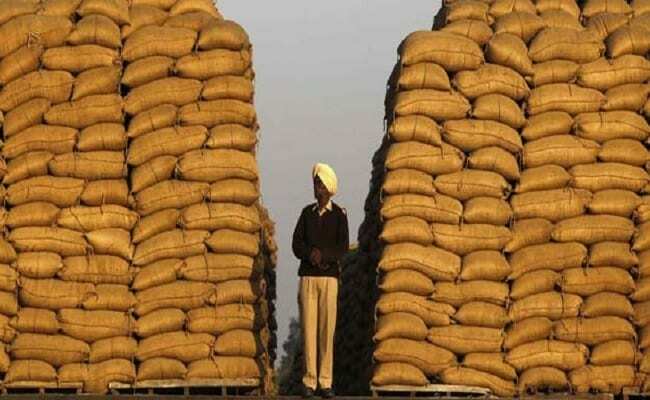 In July, wholesale inflation was at a four-year high of 5.09 per cent. Softening of food prices, especially vegetables, led to easing in the overall WPI figure. Wholesale inflation, however, quickened on an annual basis, from 3.24 per cent in August 2017. Wholesale inflation or headline inflation is determined by the Wholesale Price Index (WPI), and takes into account the rate of increase in wholesale prices in the country. WPI inflation in primary articles eased to 0.1 per cent from 1.73 per cent in the previous month. Inflation in manufactured products, which includes items such as food/beverages, tobacco, chemicals and pharma, and has the maximum weightage of over 64 per cent on the WPI index, stood at 0.3 per cent, the Ministry of Statistics said in its press release. However, a deflationary trend in food articles offset the double-digit inflation in 'fuel and power' basket in August. Food articles registered deflation at 4.04 per cent in August 2018. Last month, deflation in this category was at 2.16 per cent. Deflation in vegetables was 20.18 per cent, as against 14.07 per cent in July. 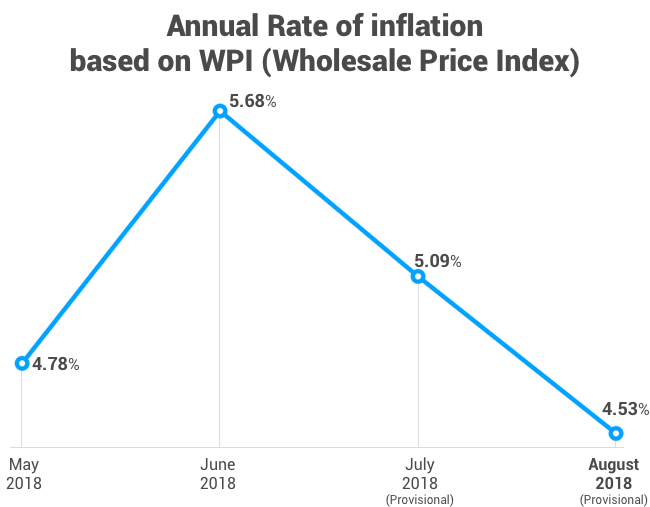 Noting that the WPI inflation data was largely in line with forecasts, ICRA principal economist Aditi Nayar said: "As expected, the disinflation in food items worsened in August 2018, given the unseasonably slack momentum in prices of various perishable items." "In the immediate term, continuing slack in food prices would weigh against the surge in crude oil and retail fuels in the current month," she added. "Going forward, the current depreciation bias of the rupee could lead to further increase in core WPI, with imported inflation feeding into pricing power assisted by the closing of the output gap. We don't expect this print to have any material impact on the next monetary policy decision given that it is now benchmarked to the Consumer Price Index (CPI)," said B Prasanna, group executive and head-global markets group, ICICI Bank. Separate data earlier this week showed that retail inflation - determined by Consumer Price Index (CPI) - eased to 3.69 per cent in August, below the Reserve Bank of India's medium-term target of 4 per cent. Consumer inflation, or retail inflation, had last came in below 4 per cent in October 2017, when it stood at 3.58 per cent. The Reserve Bank of India (RBI) mainly tracks consumer inflation data while formulating the monetary policy.